« Older: Alexya Perez makes San Pedro proud! Founded in 2006, Holy Cross Anglican School has represented a little piece of paradise for many of the underprivileged students from San Mateo that attend the learning institution. Holy Cross represents the only hope for a better future for the nearly 400 children in the San Mateo area. But for the school administration poor overall performance of former students on scholarships at the secondary level, combined with the global financial crunch has lead to a decrease in financial support from foreign donors. As a result the scholarship requirements were modified and now only disadvantaged students with high requirements will be considered for scholarships starting in 2012. The new approach did not sit well for a few parents and according to Principal Grace Williams the new criteria was outlined at the start of the 2011-2012 academic school year. “First all students in Standard VI going into secondary school were automatically given a scholarship by foreigners who sponsored them. In some instances the approach was not the best,” explained Principal Williams. Some students who are promised scholarships indiscriminately developed an attitude that they did not feel it necessary to put forth the effort in Standard VI to learn the necessary materials to succeed in high school. That attitude eventually inculcated into some students demonstrating the same behavior in their studies at the high school, resulting in many failing. “The first batch of graduates that came out Holy Cross in 2008 should be graduating this year from high school. Of 25 that were sent to secondary institutions on full scholarship, only four will be graduating. Many of them dropped out, failed or simply did not see the need to continue. Many of their grades were atrocious largely contributed to low or next to no parental support” said Williams. Once a student is given a scholarship from Holy Cross they were required to do community services work at Holy Cross every Saturday in July and August (Summer Vacation). In addition they were required to maintain 90% class attendance, provide Holy Cross with a copy of each mid and end of term report card, keep a passing average of not less than 75%, write to their sponsors at least five times during the school year and copy Holy Cross into the email for reference. 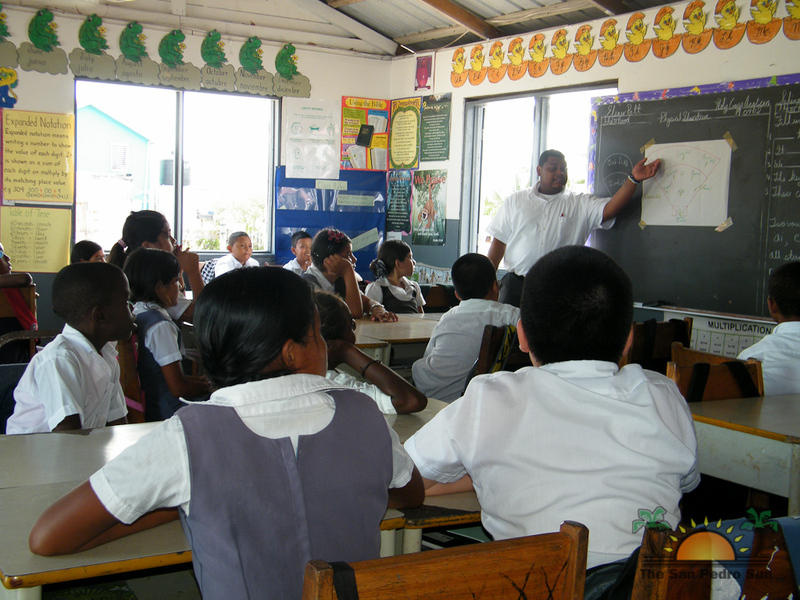 Other minor requirements were for the students to attend computer class to improve their skills and attend graduation ceremonies for Holy Cross students. According to Williams, only a few complied with the requirements outlined in the scholarship agreement. Such has been a repeated cycle which has discouraged donors who have slowly been cutting back from funding scholarships. With the poor performance and attitude of the past students combined with financial restraints Williams explained that donations have not been what they used to be for the school. The situation according to Williams was explained to the parents at the beginning of the school year in the first parent-teachers association meeting. “We do not have the financial resources we had in the past when our US donors paid for all of the scholarships including tuition, uniform, textbooks, schoolbag and even footwear,” said Williams. So far only three scholarships have been funded and as a result students will be selected based on merits. Such merits include good grades in both Standards V and VI, passing grades in Mathematics and English Language, good behavior which includes punctuality at school, high school attendance and parents must have displayed good cooperation in their child’s education. When asked about the disgruntled parents who were not happy with the new criteria, Williams explained that all standard VI students were given a letter that must be accompanied by certain documents , however applicants will not automatically be given a scholarship as was the case in previous years. In a correspondence with the school’s management, Francis Wilson, one of the original founders of Holy Cross, Wilson expressed disappointed with the position of the parents towards the new approach, more so because they were told a long time ago about the requirements. “Holy Cross Anglican School was indeed built to service the children of San Mateo and to help bring improvement to the community,” ended Wilson who now resides in Panama. Even with all of the financial struggles encountered by the management at Holy Cross Anglican Schools, all students are given free meals and the opportunity to have free dental and health care by volunteer doctors who frequent the school.